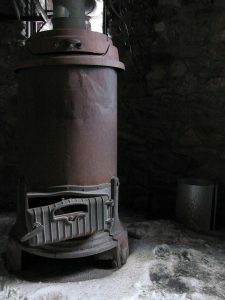 Now that winter is in full swing, the last thing you’d want is a faltering furnace. There are numerous things that can cause a furnace to malfunction, and luckily, there are many things that can be done to reverse it. So, if you have found yourself dealing with this type of situation, keep reading because today we will be discussing what causes a furnace to become inefficient or ineffective and what you can do to help! If you hired an amateur to install your furnace, or if you installed it yourself, chances are you will run into problems. Without professional consultation, the average homeowner will select a system that does meet their home’s specific needs, meaning the unit will either be undersized or oversized. This leads to a wide range of potential issues. An oversized or undersized unit will quickly become inefficient, leading to increased repair needs and sky-high heating bills. When you hire a professional, you avoid these issues altogether. A trained HVAC technician will help you through every step of the decision-making process. They will help you select an appropriate model, ensure it is the right size, and properly install it in your home. A broken furnace will increasingly become inefficient and cause even more damage. Don’t hesitate. Schedule furnace repair in Alexandria, VA ASAP! Without regular maintenance services, your furnace is bound to adhere to the wear and tear from everyday stress. In fact, regular maintenance is the best way to ensure your system’s efficiency while increasing its service life. By investing in these services, you can avoid costly repairs and keep your utility costs low. During maintenance visits, a technician will thoroughly inspect your system, allowing them to spot and correct any minor issues before they become major. They will also check and replace air filters and make minor adjustments when necessary to keep everything running as it should. To schedule your furnace services, or to learn more about how you can protect your furnace, contact Polar Bear Air Conditioning & Heating.